Are my garden readers looking for an underused plant? Look no further. Ceratostigma plumbaginoides, A.K.A. (also known as) Plumbago or Leadwort is the groundcover with no stigmas. This is one of those often overlooked perennials. In the early part of its growing season, this plant may not do much for you. Here are a few reasons why you may want to consider this plant for your borders. 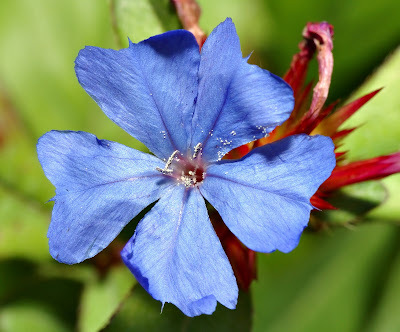 Ceratostigma is a deciduous perennial that slowly flushes its green foliage in the spring. Its tiny Phlox-like flowers bloom mid to late summer until frost. One would think that its electric blue blossoms might be enough to consider this plant. But wait - there’s more. Its scarlet-red autumn foliage makes this perennial a seasonal show-stopper. Electric blue with scarlet-red as fall leaves turn brilliant colors – that’s a wow! Some say this groundcover is hardy to Zone 4 but I think it is better suited for Zones 5 to 6. Ceratostigma can tolerate a little shade but prefers a sunny location. This groundcover can spread so position it in a spot where it is allowed to ramble and cascade. Ceratostigma is a great companion with your bulb plantings. As you are planning your bulb order for next spring’s display, think beyond the bulbs. Late summer into fall is a perfect time to think or rethink your entire plant composition. One may ask, what makes Ceratostigma the perfect companion with spring bulbs? Simple answer – it is the seamless transition of foliage and color. As the bulbs fade, the Ceratostigma fills in. 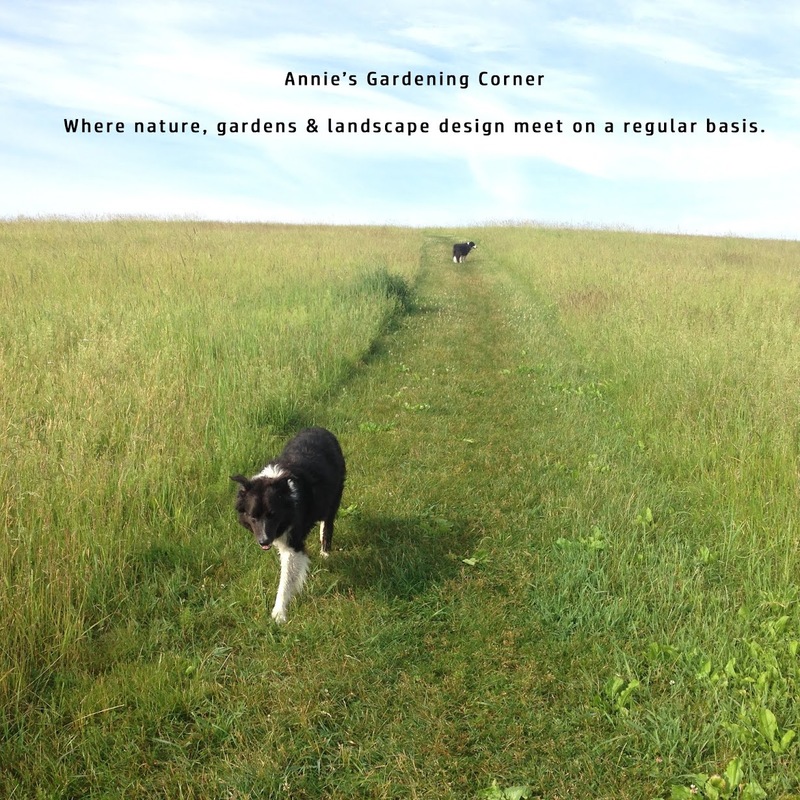 What makes a perennial border work is its entire composition, when one plant takes over for the next. Trust me, this is a tough task so when you find groundcovers like Ceratostigma, use them. Work your composition from start to end. Look for the oomph in your plants to get the most out of your borders. Find those weak spots and fill them in. To end the color scheme, I use Hans Hofmann’s quote. “The whole world, as we experience it visually, comes to us through the mystic realm of color.” In New England, the season of color is upon us!